A New Jersey man who took a surprise plea last month for the barbaric murder of a young Connecticut man tried to wriggle out of the deal Wednesday — but the judge declined and locked him up for 23 years. Lawrence Dilione, 30, copped to one count of first-degree manslaughter in January for the brutal slaying of Joseph Comunale after a night of partying. But just one day before the scheduled sentencing, he hired a new attorney, who argued that Dilione had been coerced into taking the deal. 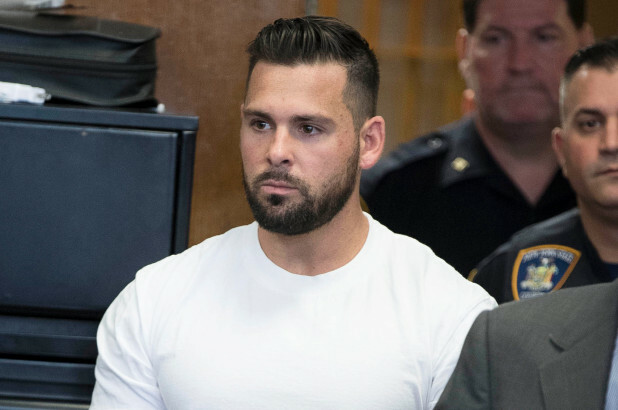 The victim’s shattered father Pat Comunale read an emotional victim impact statement while Dilione callously stared straight ahead, refusing to look in his direction. “This coward still hasn’t accepted responsibility for two years now,” said Pat, weeping, as he stared at Dilione. The grieving dad recalled the horrific autopsy photos of his son displayed at the trial of Dilione’s co-defendant James Rackover, 27, who was convicted and sentenced last December to 28 2/3 to life in prison. Before Burke imposed the sentence, he asked Dilione, 30, whether he had anything to say, as his parents looked on. “Just that I’m innocent of all crimes,” he deadpanned. Comunale randomly met Dilione outside a Meatpacking District club, and they headed back to Rackover’s apartment for an after-party with a group of young women. But the night would soon take a tragic and bloody turn. 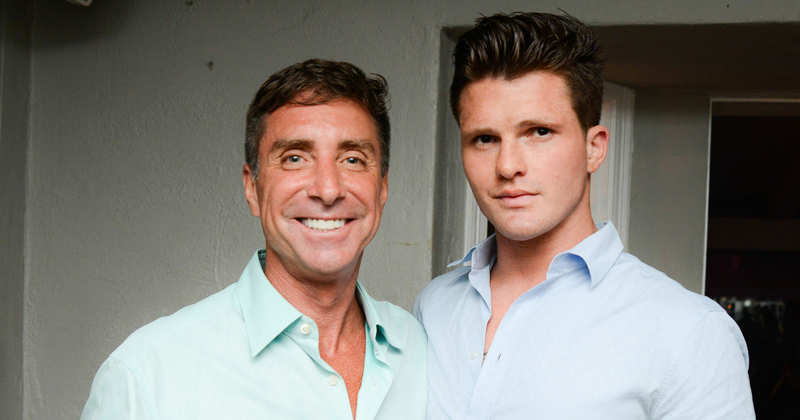 After the women left, Dilione and his pal Rackover got into an argument with the Hofstra graduate that prosecutors say was sparked over their dwindling cocaine supply. 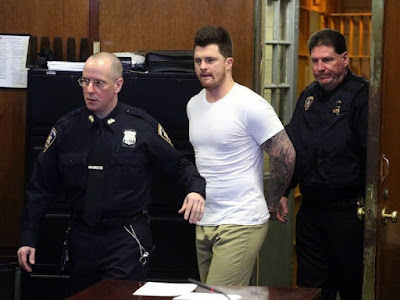 The men grew enraged and relentlessly pummeled a helpless Comunale until he lost consciousness inside Rackover’s luxury apartment in the swank Grand Sutton on E. 59th St. The defendants savagely stabbed him 15 times then tried to dismember him, nearly sawing off his arm. To cover up the crime, they drove his lifeless body to Oceanport, N.J., where they doused him in gasoline, lit him on fire and buried him behind a florist shop. Rackover was only able to afford the ritzy pad because his surrogate father, jeweler-to-the-stars Jeffrey Rackover, 57, paid his rent, according to prosecutors. The younger Rackover, an ex-con from Florida, legally adopted the gem dealer’s name, and they pretended to be father and son. But prosecutors say that the two were actually lovers.